Jake was a Management-Strategy Major and Media Arts Studies Minor at Brigham Young University from Cincinnati, Ohio. Academically, he was a four-year full-tuition scholarship recipient and ranked in the top 2% of his class. At University Growth Fund, he has worked on deals in sectors ranging from SaaS, Sales Automation, Meal Delivery, Social Media, and Consumer Sports Products. Jake was also a four-year member of the BYU Hockey Team and served a service mission for the Church of Jesus Christ of Latter-Day-Saints from June 2012-June 2014 in Vina del Mar, Chile. 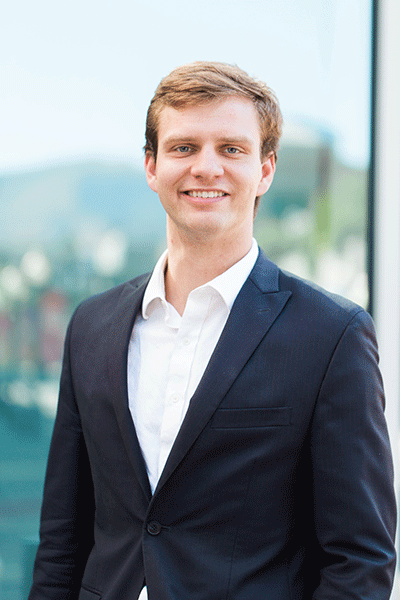 Upon graduating from University Growth Fund, Jake served as Assistant Project Manager at Nelson Restoration, assisting the Project Manager in the acquisition, planning, budgeting, and construction of properties. His other interests include traveling, cooking, finding great deals around Provo, and maintaining faith that Cincinnati sports teams will eventually win a playoff game.